My first batch of no-bake cookies can only be described as a disaster. I was in middle school at the time, and my friend and I were lounging around her house trying to decide what to do when her mom suggested no-bake cookies. I had never heard of them but was all too willing to try them out. The recipe called for butter, peanut butter, sugar, vanilla, oatmeal, and milk…I’m pretty sure that was it. Total health food! Luckily our pre-teen metabolisms could handle it, and we got right to work. My friend and I divided the task of measuring ingredients, and peanut butter fell onto my side. “I think there’s a jar of Skippy in the cupboard,” she said, and I obligingly skipped over to the cabinet. Sure enough there were two jars of peanut butter, one farther back than the other. I chose the emptier one in the back, if only to help her family use it up. As soon as I screwed open the jar I noticed a funny smell, but I didn’t say anything. My family always bought natural peanut butter that you had to stir, so I figured Skippy just smelled a little different. That was my first mistake. I scooped out the appropriate amount of peanut butter and dumped it into the saucepan along with the other ingredients. Five minutes later we were forming the mixture into little balls and placing them onto a wax-paper-lined cookie sheet. I’ve always been a “taster” when it comes to baking (my justification is that any incorporated germs are killed by the heat of the oven…and let’s just pretend the no-bake thing doesn’t exist) so I definitely snuck a pinch or two of the dough. It tasted…bad. Not a little bad, a lot bad. It’s a taste that I now know can be described as rancid nuts (shocker, right)?! Seeing my expression my friend tried it too, and made the same disgusted face as I had. “Well, uh…” I started to reply. “I don’t know.” Satisfying answer for sure. And now we have reached the end of the road where I stop talking about my crazy life and cut to the chase. 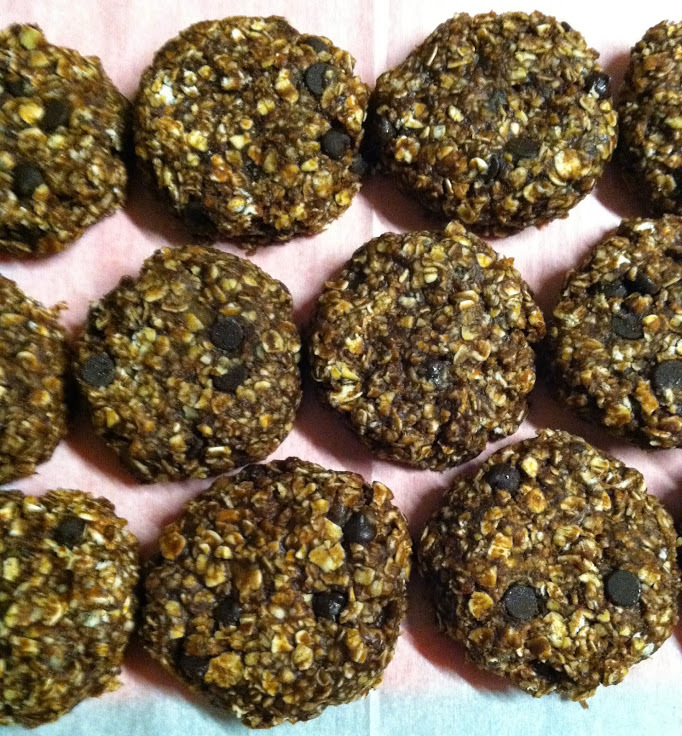 THESE no-bake cookies are just about as easy as the originals (if not easier) but they have the benefit of actually being good for you. Yeah, there’s chocolate, but it really doesn’t count since the rest of the ingredients are so healthy. That’s how it works–you heard it from me! They’re pretty darn good too, considering the lack of butter and sugar. They definitely aren’t as sweet as “regular” cookies, so if you aren’t used to that you can definitely add in a couple tablespoons of sugar or additional honey. Also, the riper your banana is, the sweeter the cookies will be. Bananas FTW! Always. Place the peanut butter and mashed banana in a medium saucepan over low heat. Stir until melted and smooth, then remove from heat. Stir in the honey, cocoa powder, milk, oats, cinnamon, and salt until combined. Stir in the chocolate chips. Scoop the dough into rounded tablespoons and place on a lined cookie sheet. Press each mound of dough down slightly until the desired shape is reached. Chill for at least 2 hours before enjoying. Store covered in the refrigerator for up to 10 days. Grocery shopping with a brother in the house isn’t always easy. Grocery shopping for an 18-year-old brother is even harder. Grocery shopping for a 6-foot-4, 18-year-old brother who also happens to be training for a triathlon can drive one to insanity. Especially when I’m the one that does most of the shopping. It seems like no matter how much food I buy, it’s inhaled in approximately 48 hours. Which means another trip to the store, followed by another 2-day inhalation period, followed by another empty fridge and of course another trip to the store. It’s a vicious cycle. Now don’t get me wrong. I love my brother, I do, but his bottomless pit of a stomach can be a little frustrating. I’ve taken to writing my name in Sharpie on every food or drink that I plan on ingesting at some point in the near future, because if I don’t eat it within those two or so days of buying it, it’s long gone. This system has worked quite well for me, with the downside of making me look like an obsessive-compulsive hoarder to all third-party observers. But hey, you’ve gotta do what you’ve gotta do. This week my brother is off visiting a friend in North Dakota, which means it’s just my parents and me at home. This morning I woke up to find 4 brown bananas in our fruit bowl, and I nearly fell over. Bananas are one of my brother’s favorite foods and they never, ever, ever survive long enough to develop even one lowly brown spot. 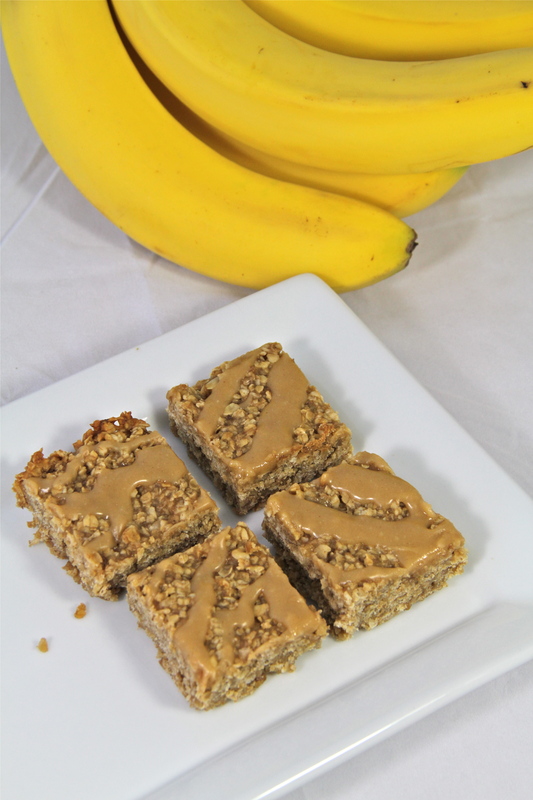 Since brown bananas (aka perfect-for-baking bananas) are unheard of in our house, I jumped at the chance to finally sift through all the banana-based recipes in my bookmarks file and get baking! After much debate, I decided to experiment with a new recipe idea: Peanut Butter, Honey, & Banana Oat Bars. I figured I’d use my go-to and highly adaptable Chewy Granola Bar recipe to start, subbing in mashed banana for the applesauce in the original recipe, using honey for the sweetener, and leaving out the nuts and dried fruit. I wanted the pure flavors of banana, honey, and peanut butter to come through loud and clear, so I kept things simple. Without all the add-ins, this recipe is super minimal when it comes to ingredients and it’s also mega-easy. I just whisked together the mashed banana, peanut butter, and honey, adding in a splash of vanilla and a dash of cinnamon for a little extra flavor. Then I folded in the oats, the last ingredient if you can believe it. 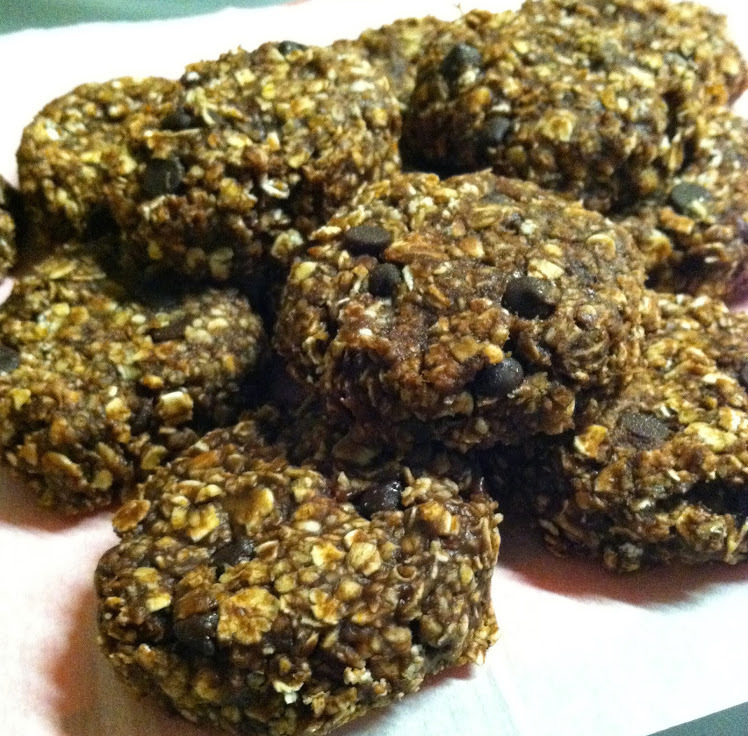 (I used quick-cooking oats in these, which make for a more uniform, less chewy texture, but you could totally use old-fashioned rolled oats if you like your bars a little chewier and crumblier.) Next it was into the oven for about half an hour, and the next thing I knew I was pulling out a pan of delicious-smelling Peanut Butter, Honey, Banana and Oat Bars! Since there weren’t any add-ins in the bars I opted to top them with a glaze for a little something extra. I remembered seeing these Peanut Butter, Banana, and Honey Cookies over at Two Peas and Their Pod, which were topped with a peanut butter-honey glaze, so I dug out that recipe and mixed up the glaze. And I’m so glad I did. I literally wanted to eat the entire bowlful with a spoon; it’s that good. Silky-smooth, sweet but not at all like that powdered-sugary-stick-to-your-teeth kind of sweetness that so many glazes end up having, this glaze brought the bars from delicious to swoon-worthy. 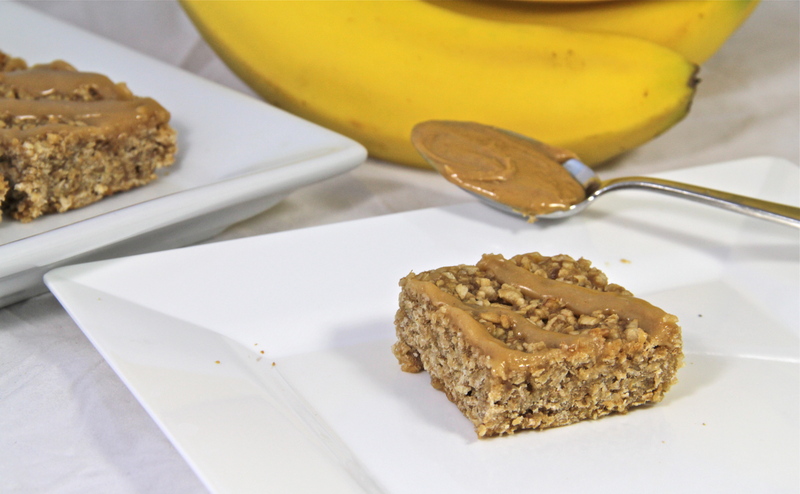 The bars themselves turned out soft, chewy, and packed with the flavors of peanut butter, honey, and banana. They taste just like a peanut butter-honey-banana sandwich, which is one of my favorite comfort foods of all time. 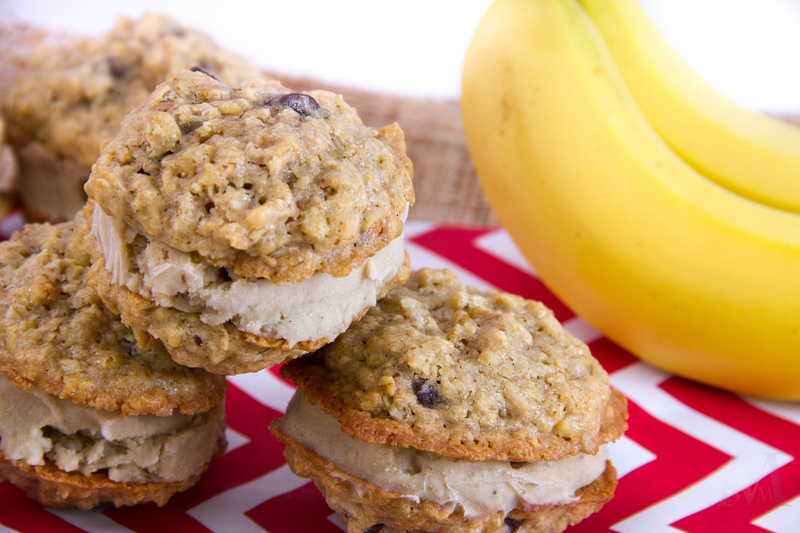 The bananas keep the bars nice and soft, while the oats give them a chewy texture. And wait, it gets better! 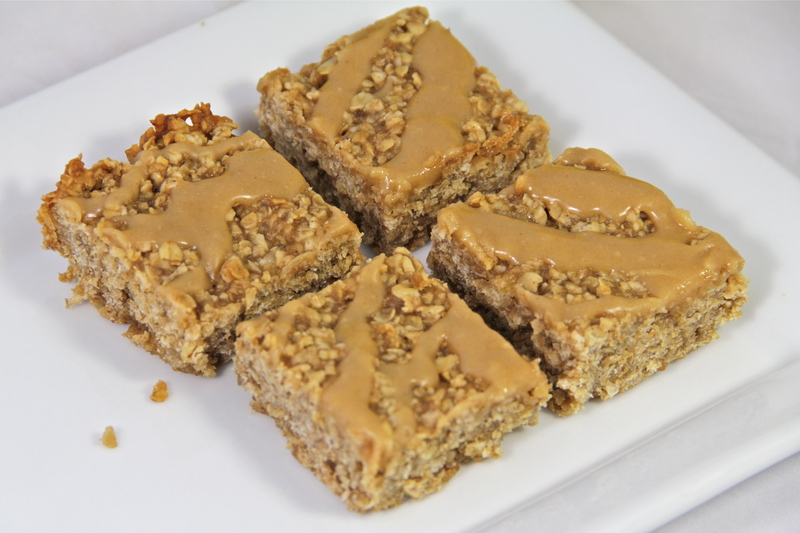 Not only are these bars super delicious, they’re also sugar-free (minus the glaze), dairy-free (if you use almond milk in the glaze), AND gluten-free if you make sure to use gluten-free oats! Even with all that healthfulness going on they are absolutely not lacking in the taste or texture department. I would never in a million years guess that these are so healthy. Win-win! A lot of good can come from a couple old bananas. I’m definitely going to have to make these bars again….maybe I can just write my name in Sharpie on the banana skins and they’ll survive to the point of overripeness. Or maybe I can just give my brother one of these bars when he gets home and he’ll see for himself how good they are. Definitely worth leaving the bananas alone for a couple of days. 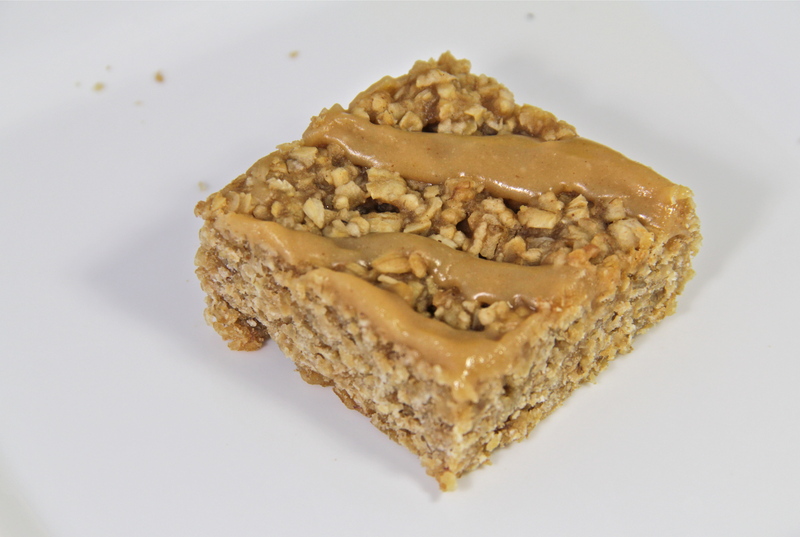 However, considering the vast amount of PB & J he eats in a day, keeping the peanut butter jar full enough for a batch of these bars will be challenge in itself…. On the busiest of busy mornings, even oatmeal can be too time-consuming. That’s where this wonderful little recipe comes in! 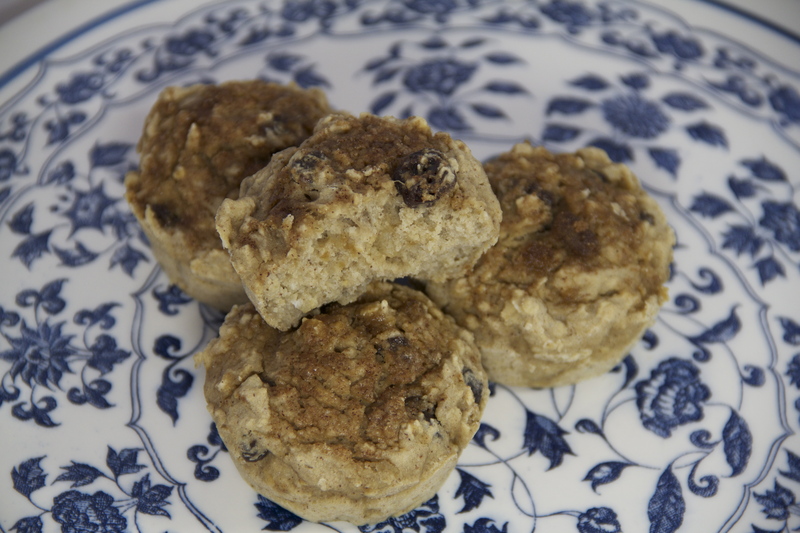 These Banana Oat Flour Muffins are basically a grab-and-go version of oatmeal: chock full of hearty oats and oat flour, a splash of milk, and some add-ins/flavorings of your choice. That’s it!! I made these without any sugar at all (not counting the banana and raisins) and they were still plenty sweet in my mind. Especially if you’re enjoying these for breakfast, the extra sweetness really doesn’t seem necessary. As far as the other ingredients go, just use your favorite oatmeal additions! I of course went for my favorite banana/cinnamon/nutmeg combo, along with a little almond flavoring, but the possibilities are endless: try using unsweetened applesauce in place of the banana, vanilla extract instead of the almond, any type of dried fruit instead of the raisins, or a little peanut butter. You could add a couple tablespoons of cocoa powder for an extra-delicious chocolate version, too! 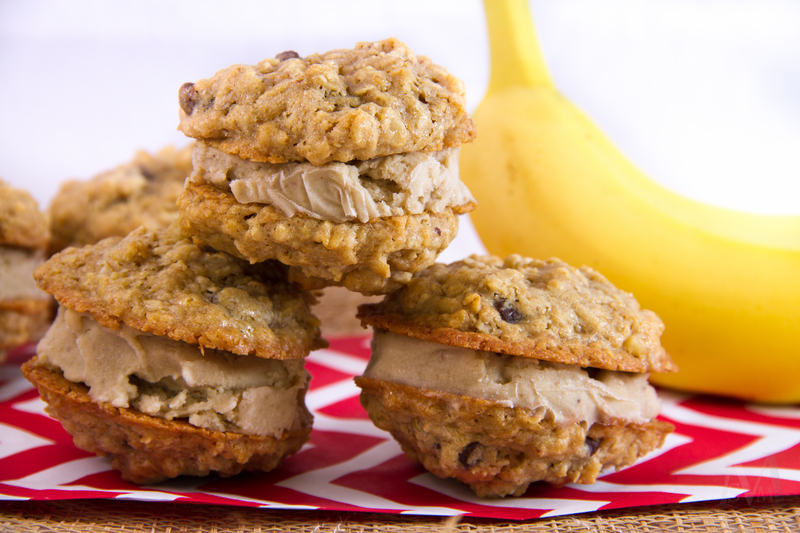 Maybe I’ll experiment with a cocoa/peanut butter/banana edition the next time I make these….and there will definitely be a next time! 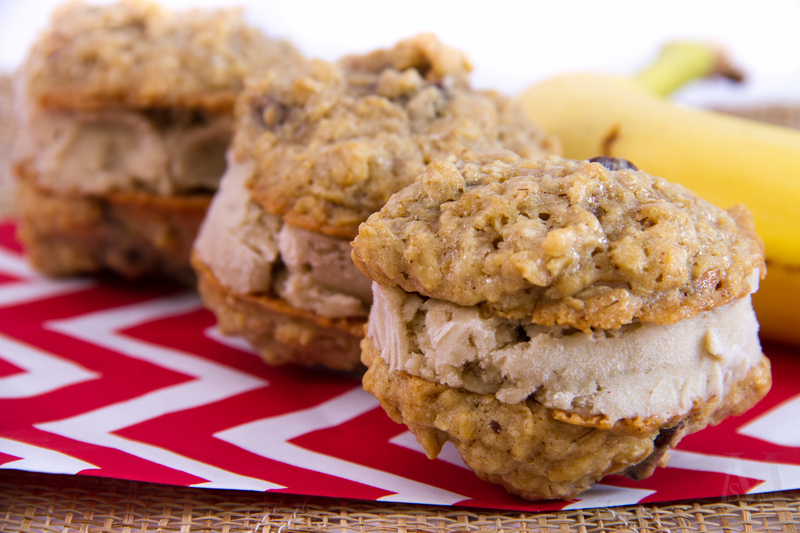 Oatmeal-lovers and muffin-lovers alike are bound to LOVE these babies! 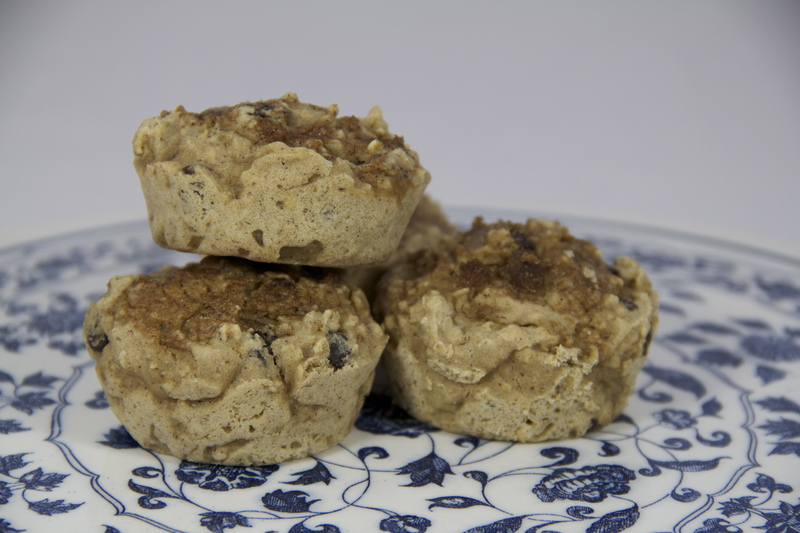 The muffins also freeze very well, so you can make a big batch and simply grab one out of the freezer in the morning, nuke it in the microwave for a few seconds, and enjoy a quick, healthy, yummy breakfast on-the-go. What more can you ask for? Preheat oven to 375 degrees F. Grease a 12-cup muffin tin or line with paper muffin cups. Set aside. Whisk together the oat flour, oats, baking powder, cinnamon and nutmeg in a large bowl. In a smaller bowl, mix together the mashed banana, milk, almond extract, and brown sugar until well-combined. Pour the wet ingredients into the oat mixture and stir until just combined. Fold in the raisins. The batter will be thick. Scoop the batter into prepared muffin tins. In a small bowl, mix together the 1 tablespoon of brown sugar and 1/2 teaspoon of cinnamon. Sprinkle over the muffins. Bake for 12-15 minutes or until an inserted toothpick comes out clean and muffin tops bounce back when lightly pressed. Let cool for 5 minutes, then transfer muffins onto a cooling rack. Serve. Leftovers can be frozen or stored in an airtight container at room temperature. 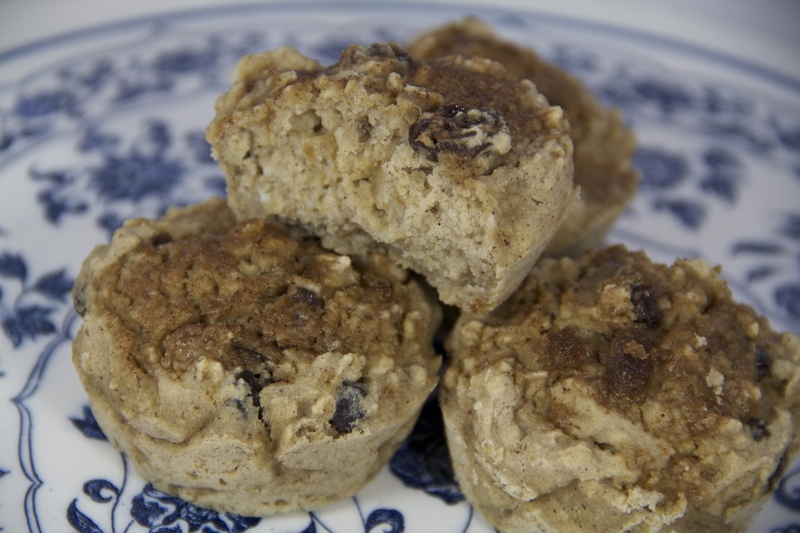 *You can make these muffins sugar-free by simply leaving out the brown sugar. 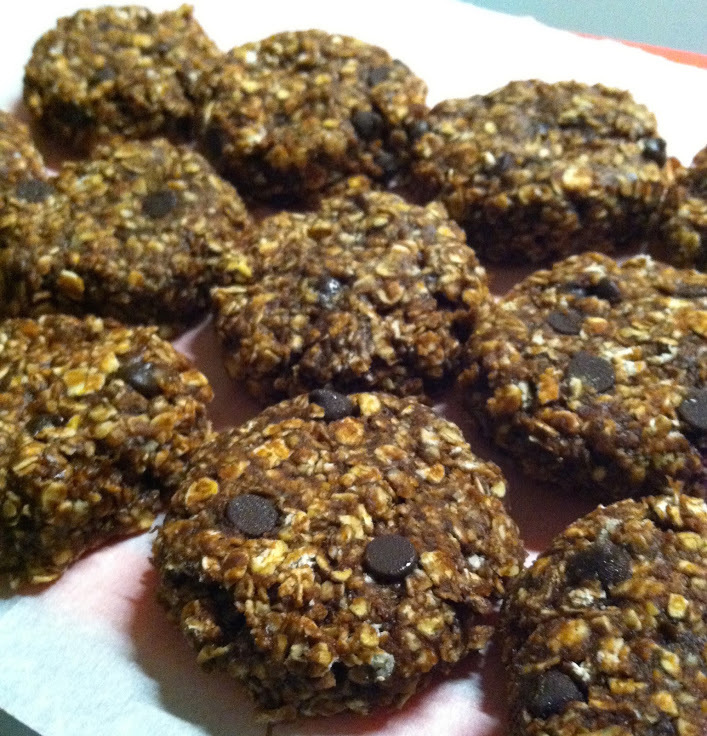 I made these with no sugar at all except that from the banana, vanilla almond milk, and raisins, and they turned out delicious. However, if you aren’t used to eating less-sweet muffins, I would recommend including the brown sugar.